It’s an all too common tragedy: a young athlete’s career cut short because of repeated head injuries. It’s a tragedy that 19 year old Conner DeChant has avoided for now, with help of precise upper cervical chiropractic care. Conner also learned that other aspects of his health could improve with his new upper cervical alignment. “I’ve had chronic back problems, and that is going away. My form for weight lifting is now better because I’m more flexible. 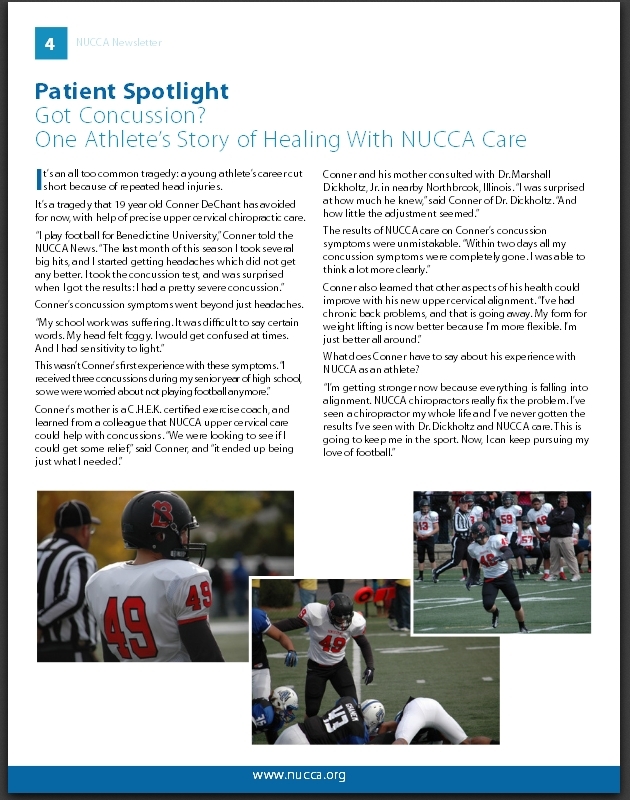 I’m just better all around.” What does Conner have to say about his experience with NUCCA as an athlete? This article originally appeared in the winter edition of the NUCCA News. How to fix TMJ pain?